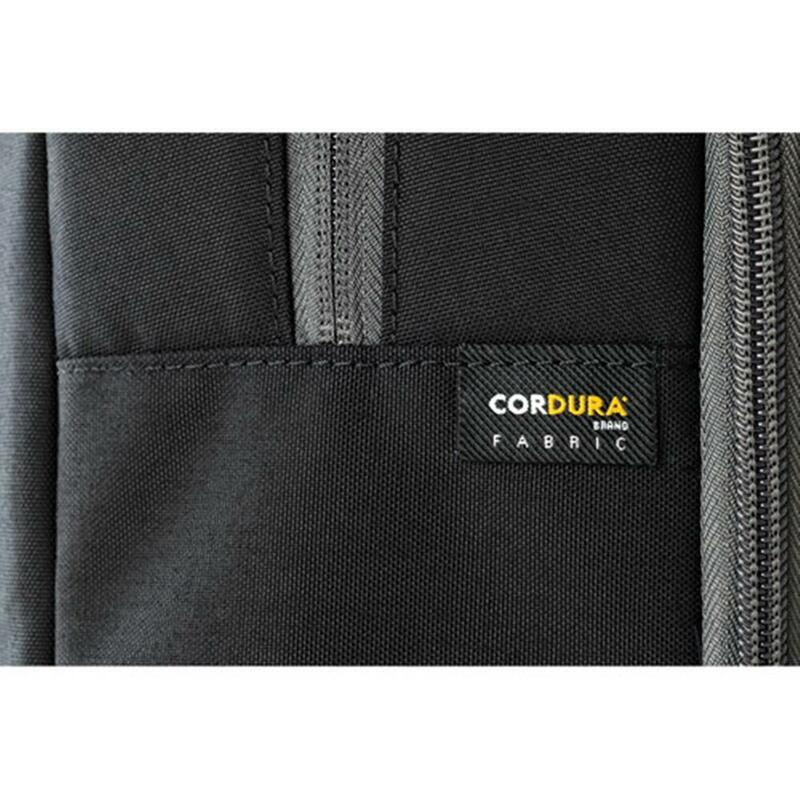 Black Cordura for exceptional durability and weather protection. 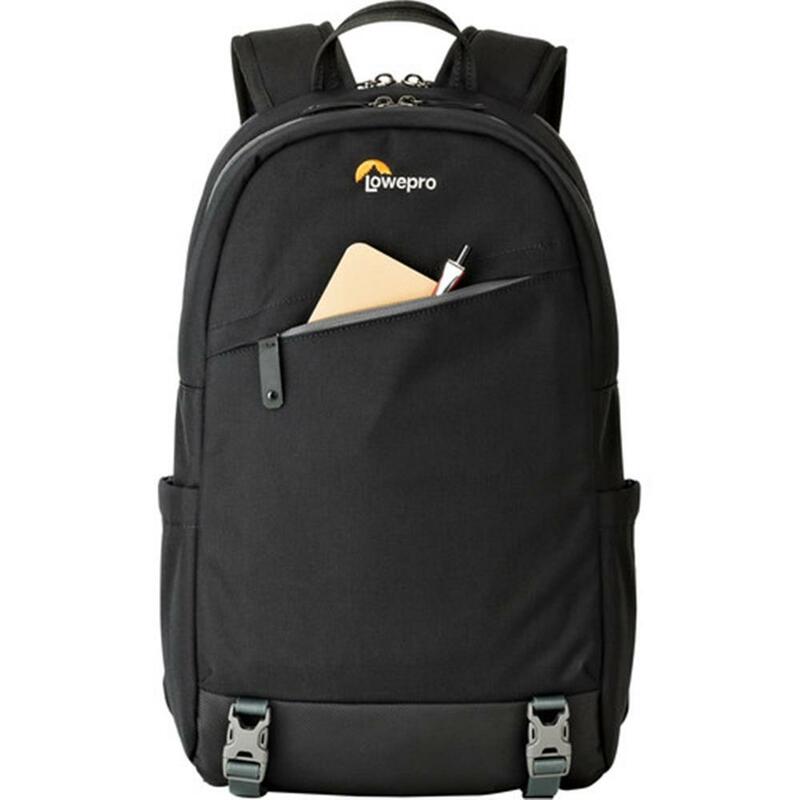 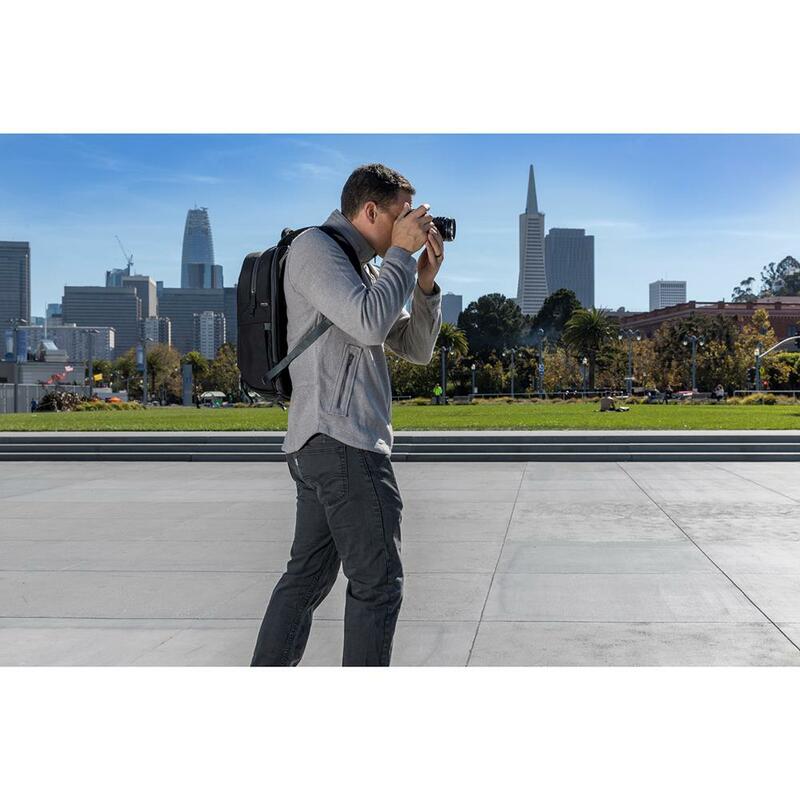 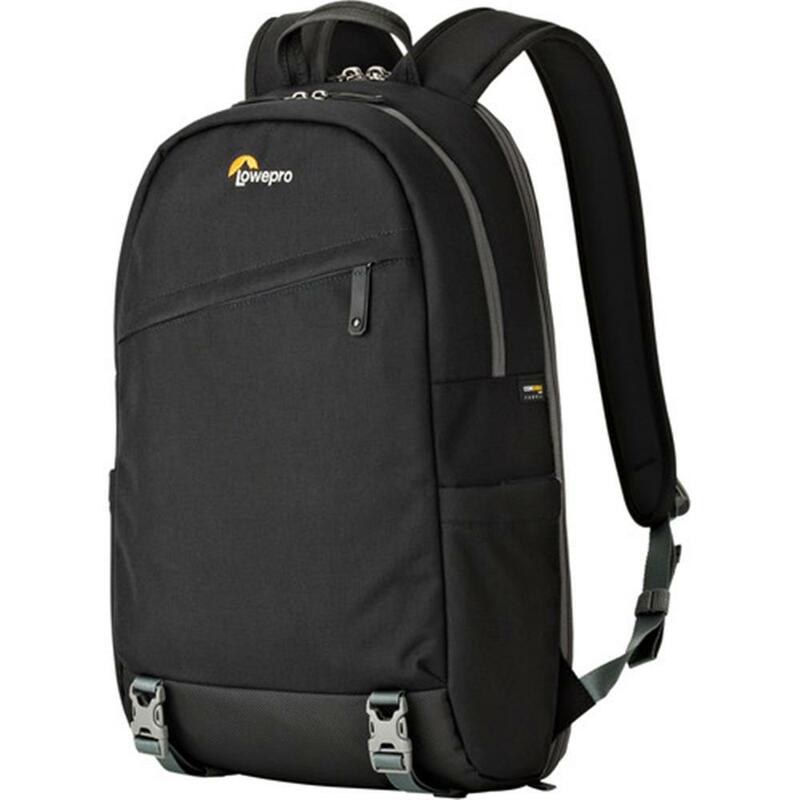 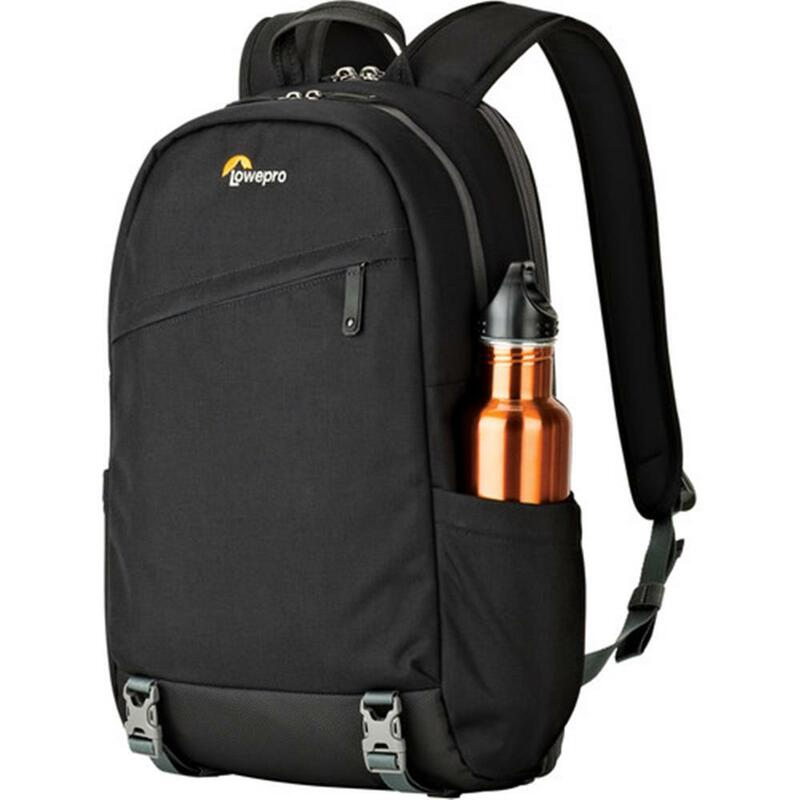 Designed for mirrorless cameras, this compact camera backpack has room for a full mirrorless kit, up to 12" laptop or 13" tablet, accessories and more. 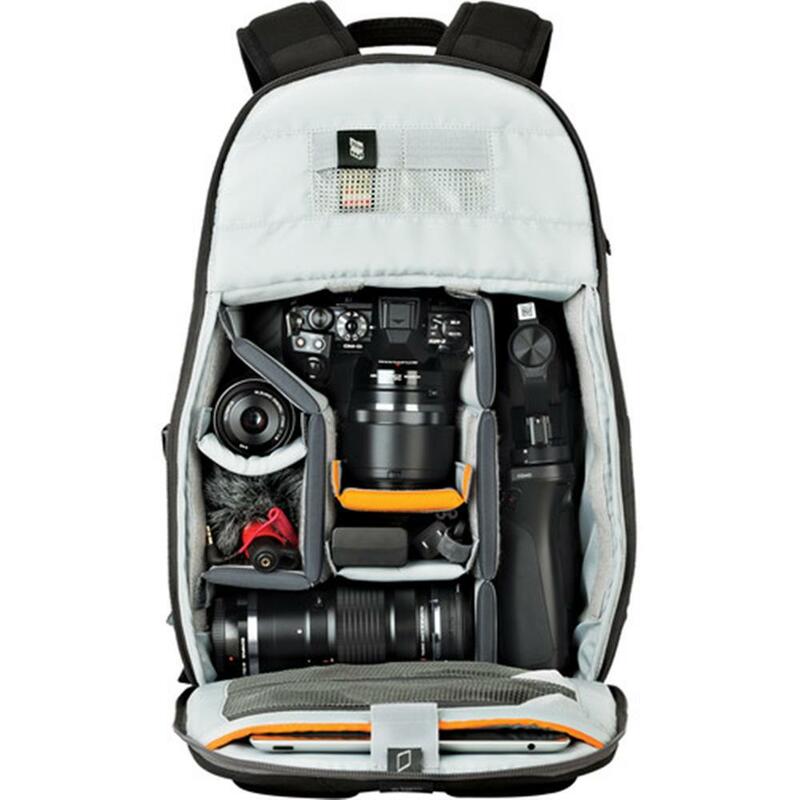 A modern take on a classic pack designed for mirrorless and more, the m-Trekker BP 150 fuses dedicated body-side access to safeguard against theft and a slim profile designed to securely hug gear. 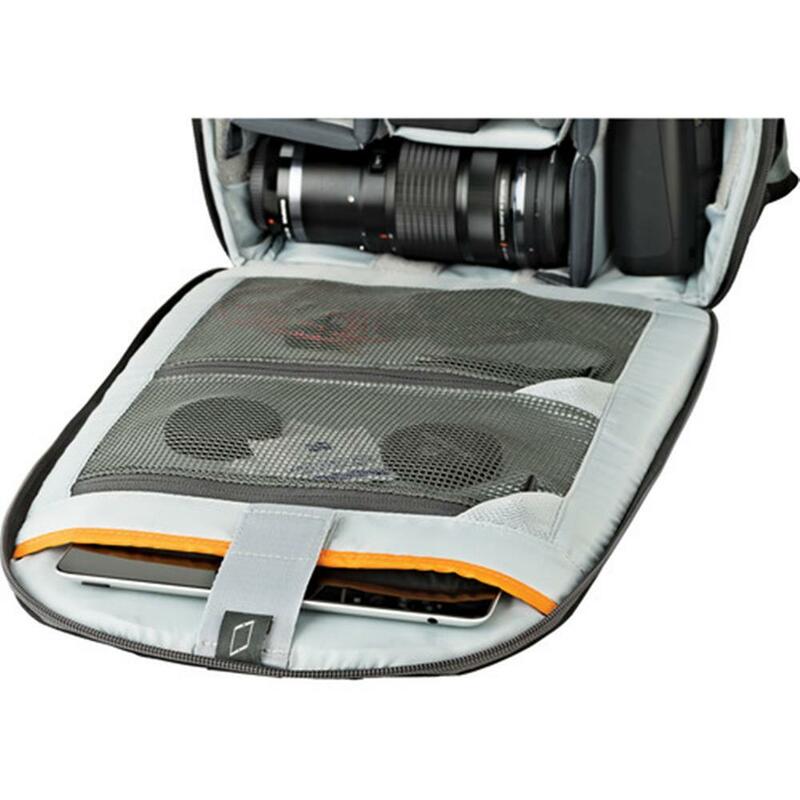 All Weather AW Cover provides additional protection from the elements while customizable interior offers endless options for gear organization and dedicated protection for up to a 12" laptop or 13" tablet. 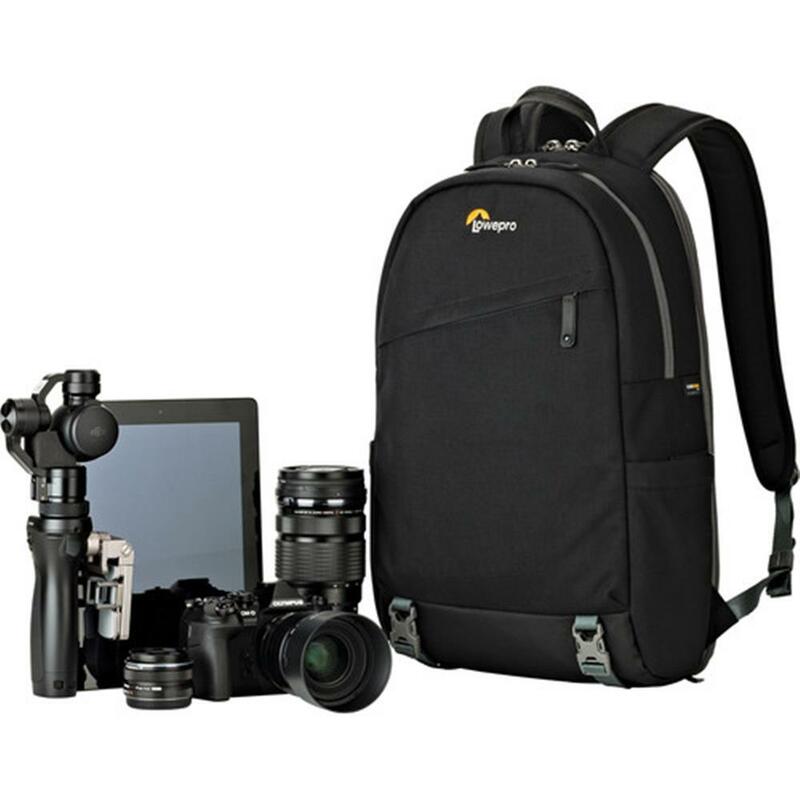 Great for mirrorless cameras like Canon EOS M10, Sony a7 and Olympus OM-D E-M10 Mark II. 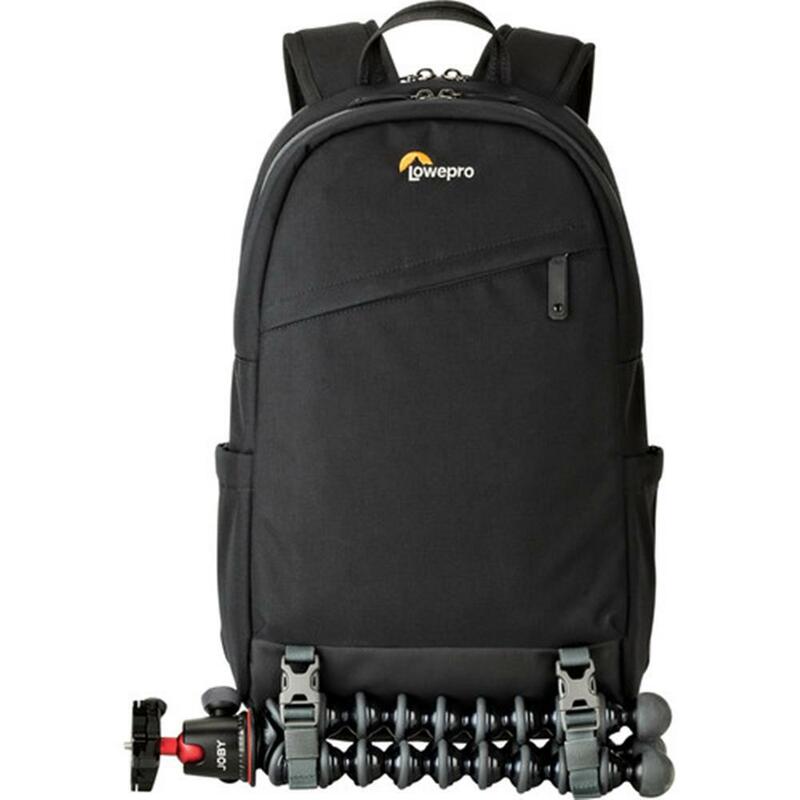 Fits your favourite GorillaPod or compact tripod, too! 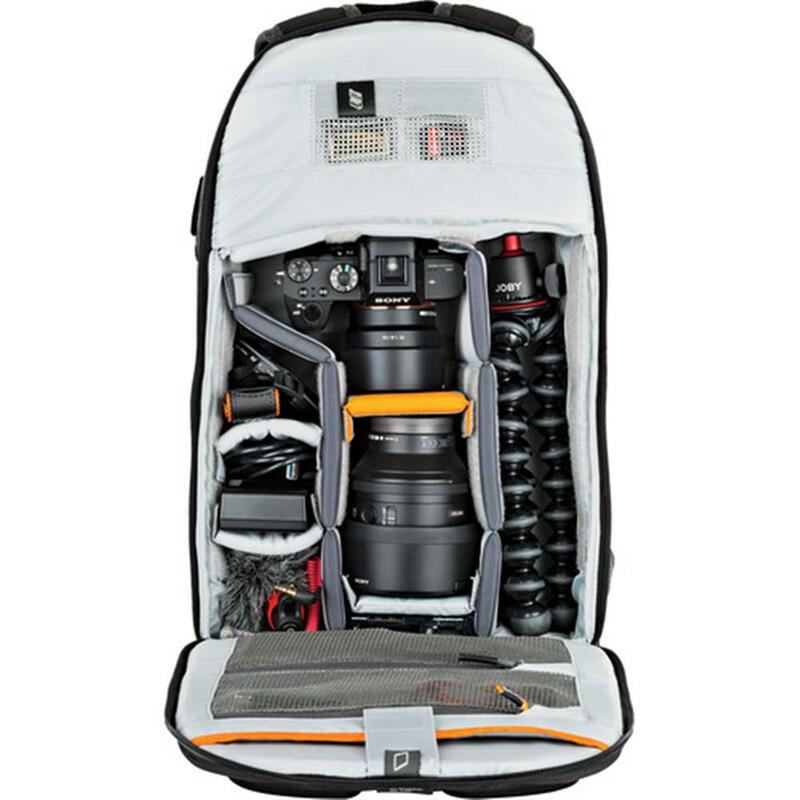 Customizable: Flexible interior panels offer endless gear organization options for mirrorless cameras and digital devices such as hand-held gimbal cameras. 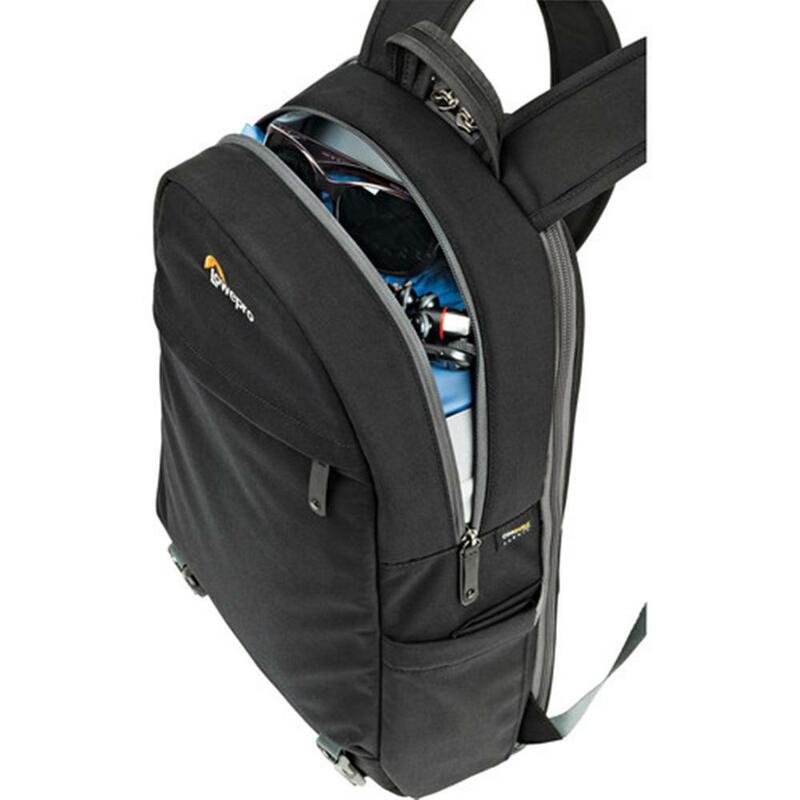 Protected: CradleFit carry compartment suspends and protects up to a 12" laptop or 13" tablet. 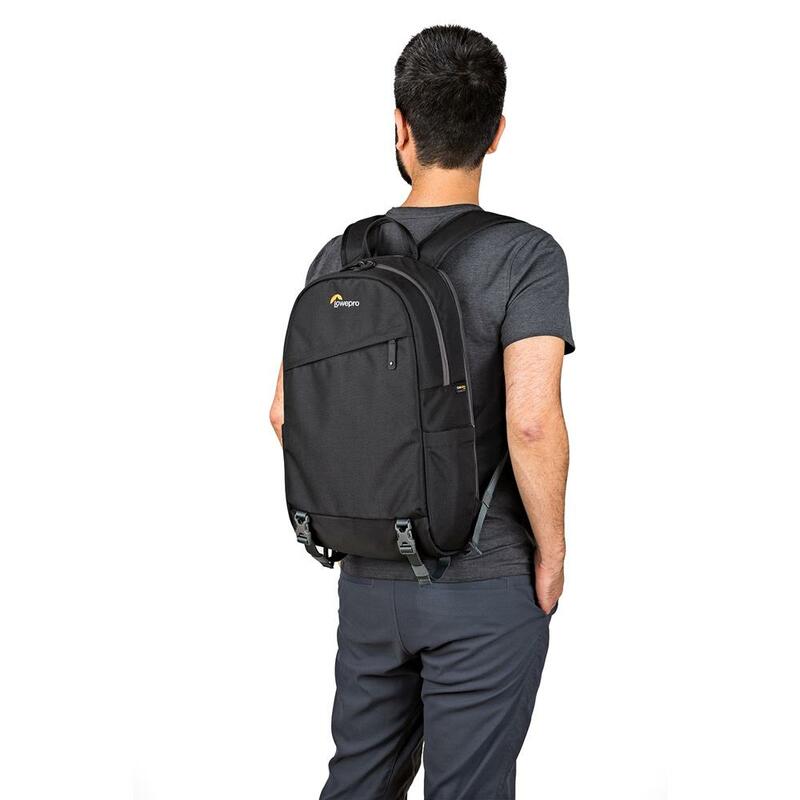 Durable: Robust fabric options defend against wear and tear. 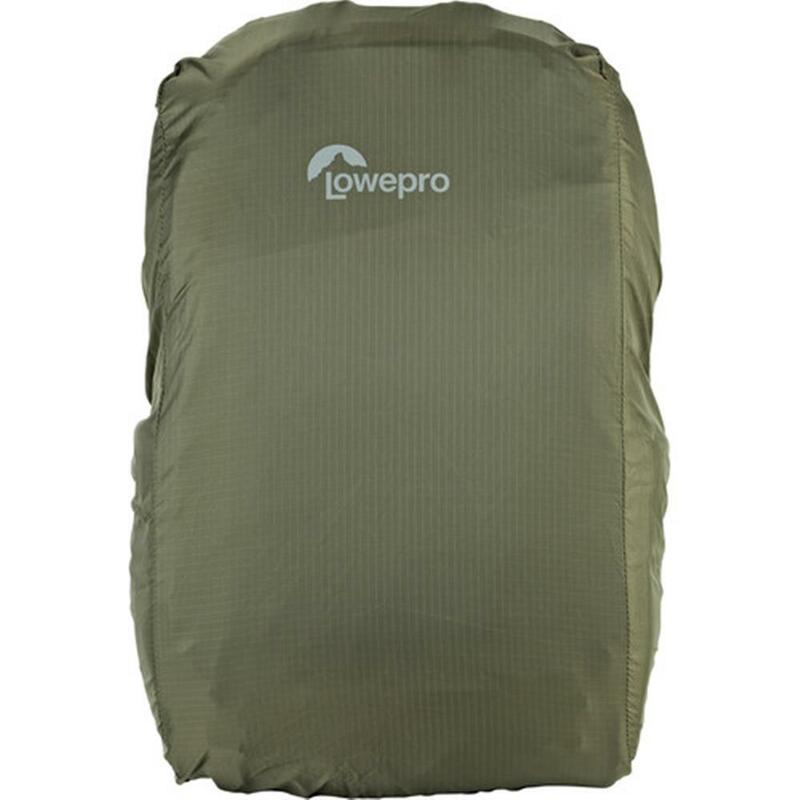 Covered: All Weather AW Cover provide premium protection from the elements. 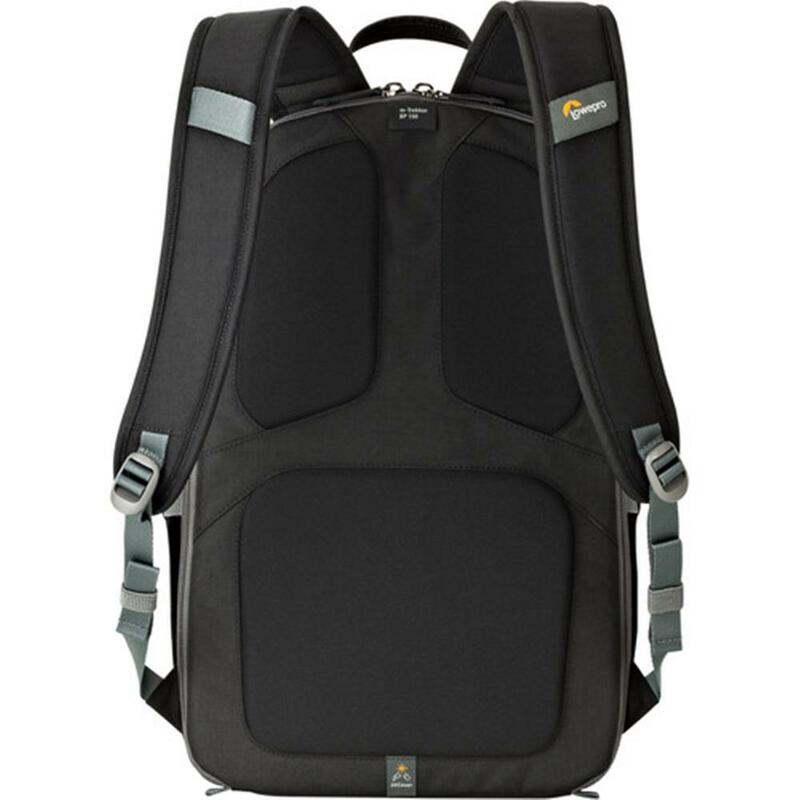 Black Cordura is constructed using high tenacity nylon for exceptional durability. Up to 12" laptop or 13" tablet.